The bolded portions of the book description below are new and/or improved in the 3rd Edition. Sets forth a transliteration, rather than a substitution, of the names of the Father (YAHUAH), Son (YAHUSHA) and Holy Spirit (RUACH HAQODESH). Transliterates over 3100 other Hebrew names and places. Restores the Aleph Tav more than 10,000 times; previously omitted in other English translations. Includes all of the 81 books previously canonized as the Bible (see scripture comparison chart), plus another 6 books considered to be inspired and/or historically significant: Chanok (Enoch) & Yovheliym (Jubilees) from the Dead Sea Scrolls, as well as Yashar (Jasher), 4 Ezra, 2 Baruk (Baruch) and Hadaccah (Additions to Esther), for a total of 87 books under one cover. Corrects many notorious errors found in virtually all previous English translations, such as Yeshayahu (Isaiah) 14, Zakaryahu (Zechariah) 5, and Mattithyahu (Matthew) 23. Restores chapters 151-155 of Tehilliym (Psalms), as well as the 29th chapter of Ma’asiym (The Acts of the Apostles) chronicling Pa’al’s (Paul’s) journey to Spain. 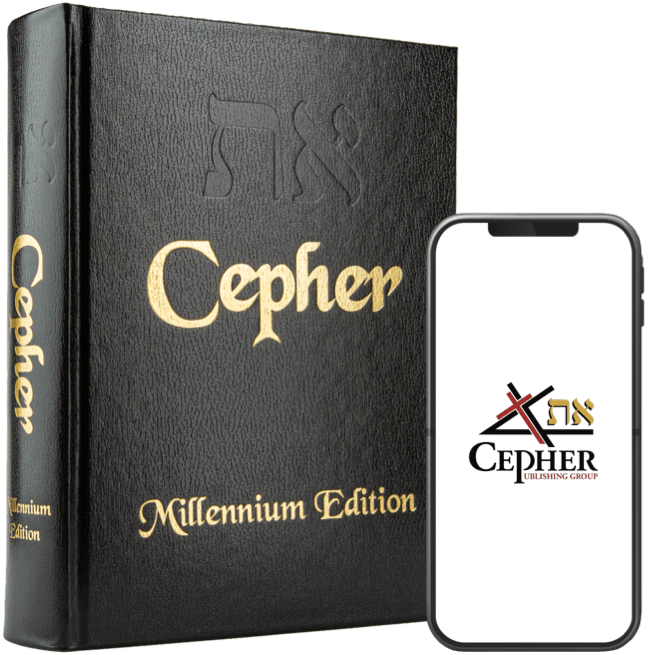 Includes a chart of the modern and paleo Hebrew alphabet and provides the meaning of each letter. Includes 13 original historical Maps. Provides a Family History section for personalization. 1496 pages printed in a readable 9 point Cambria type font on 45 pound paper. Measures 7”x 10” and Weighs 5.4 pounds. Hardbound in black Arizona bonded leather made from 100% cowhide. Includes satin ribbon place holder and gold embossing. Additionally, we continue to restore the original text. The most notable restorations in the 3rd Edition are the word Yashar'el for Yisra’el/Israel and the name Pa'al for Sha'ul/Paul.